This no-pectin recipe for grapefruit marmalade makes four 8-ounce jars. The marmalade makes an excellent topping for toast, biscuits, or muffins in the morning, or use it as an ingredient in recipes that call for orange marmalade. One reader wrote that she made the marmalade with a combination of grapefruit, oranges, and lemons. Another reader thought the pith should be left in for a properly bitter flavor. If you are looking for a bitter marmalade, peel the pith along with the outer peel. To remove excess bitterness, simmer the peels in a saucepan of water for about an hour, changing the water two or three times. Peel the grapefruit and lemon; cut the inner white part of peel away leaving the rind. Cut the rind into slivers about 3/4-inch in length and 1/8-inch in width. Chop the fruit coarsely, reserving the juice. In a heavy 8-quart nonreactive kettle or stockpot over medium-high heat, simmer the strips of rind, chopped fruit, reserved juice, and the 2 cups of water, uncovered, for 10 minutes. Pour into a large heatproof glass bowl and let stand, covered, in a cool place for 6 to 8 hours or overnight. Fill a canning kettle about three-quarters full and add the jars. Bring the water to a boil. Reduce the heat to low to keep the jars warm. Put the lids in a saucepan of water and bring to a simmer. Remove from the heat and set aside. Return the fruit mixture to the kettle. Add the sugar and place the pan over medium heat. Attach a reliable candy thermometer to the pan and bring the mixture to a boil, stirring until sugar dissolves. Continue boiling, stirring occasionally, until the thermometer registers 218 F to 220 F, or roughly 8 degrees above the boiling point, depending on altitude. Remove the pan from the heat, skim off the foam, and ladle the marmalade into sterilized half-pint canning jars, leaving 1/4-inch headspace. With clean, damp paper towels, wipe the jar rims and threads, place the lids on the jars and screw on the rings firmly but not too tight. Place the jars on a rack and lower them into the hot water. The water level should be about 1 inch above the jars; add more hot water, as needed. Bring the water to a boil; lower the heat to maintain a gentle boil and process for 10 minutes. Remove the jars from the water bath and let them cool for 12 hours; test for airtight seals. Label the jars and store the marmalade in a cool, dark place. 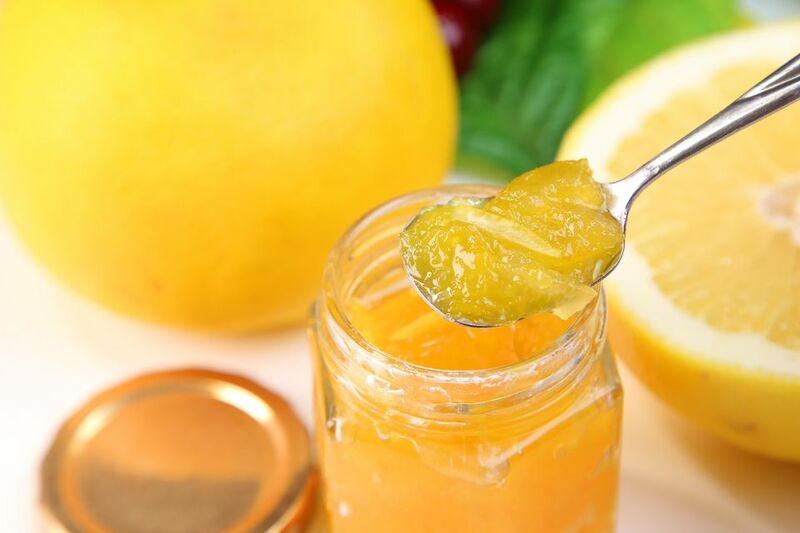 If you decide not to sterilize and process jars, or if you have a jar that did not seal, refrigerate the marmalade and use it within three weeks.